One of the best discoveries of my life was coconut butter. I read that you could make your own, but my food processor was too wimpy for that. Instead I bought a jar for the wince-inducing price of $13.99 at Whole Foods. My usual recipe starring this magical gooey coconut stuff is a coconut granola that’s a family favorite (coming soon, I promise! 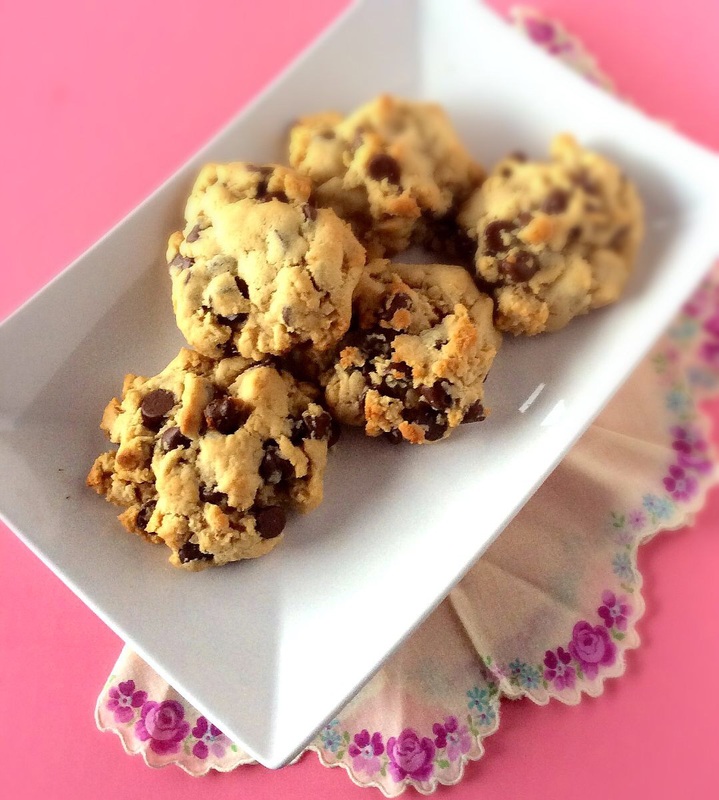 ), but when Michael asked for chocolate chip cookies, I dreamed up this idea and then found a recipe that looked promising. It turned out great, giving us some fat, chewy cookies stuffed with chocolate to last us through the week. Coconut butter also tastes amazing straight from the jar, just so you know. I’m obviously a coconut lover, but if you’re not, never fear! The coconut flavor is really subtle. And really, really good. Preheat oven to 350 F and line a baking sheet with parchment paper or Silpat. In large bowl, combine sugar, brown rice syrup or honey, coconut butter, milk, tapioca flour, and vanilla. Beat until well blended. Add flour and baking soda and stir until completely combined. Dough will be stiff. Fold chocolate chips into dough. Form dough into balls about two tablespoons in size and place them an inch apart on baking sheet. Flatten slightly. Bake for 12-14 minutes, or until the edges feel firm and a little crisp or brown. Let cool on baking sheet for 10 minutes. Gently remove with a spatula. Store in an air-tight container for up to 3 days. Chocolate chip cookies are my fave! I’ve never tried coconut butter before but I’ll have to give it a try! Love coconut and chocolate together. 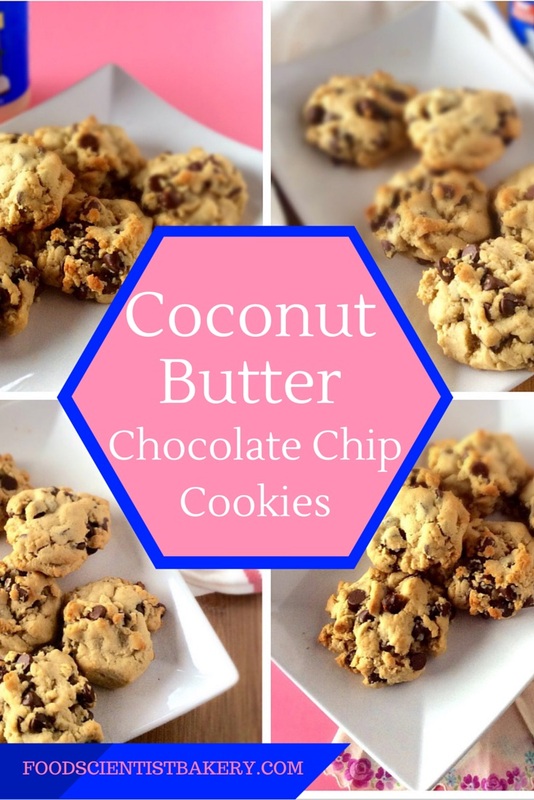 Yes, the combo of chocolate and coconut is so good! 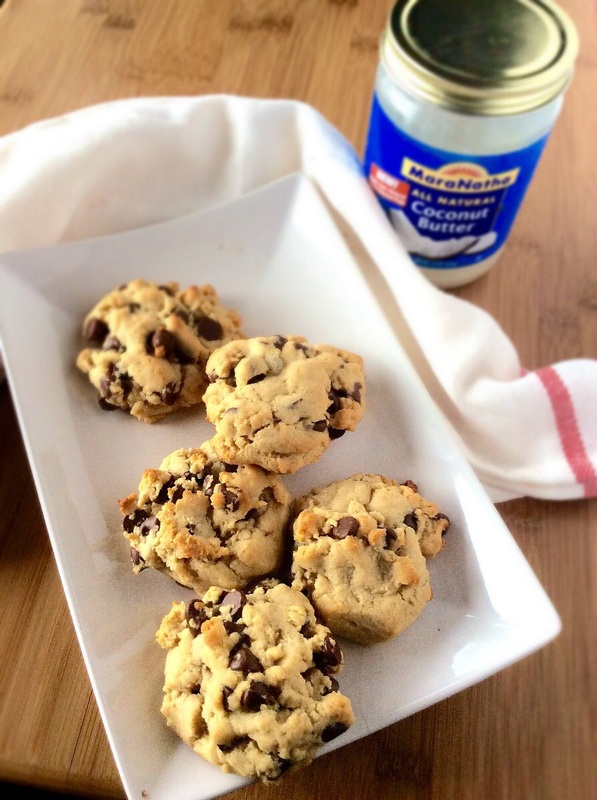 You will LOVE coconut butter! I used to dip dark chocolate squares in the jar…mmmm. Thanks! I’ll join, it looks great! Thanks for the info! Yum these seem so simple and delicious! I have a huge jar of coconut butter that I wasn’t sure what to do with. I always just use coconut oil. I will be trying these soon!